Tissue culture techniques have been applied to several B. oleracea vegetables, either for clonal propagation or for development of novel and sometimes improved plant types. Plants have been regenerated from diverse multicellular explants, including: immature embryos; seedling parts such as hypocotyls or cotyledons; stem pieces; leaves; roots; and floral tissues such as flowering stalks or caulilfower curds. Plants can be recovered from single wall-free protoplasts, usually isolated from leaves or hypocotyls of plantlets grown in vitro. Strong genotype specificity is usually noted in studies comparing regeneration from various lines of a given vegetable, with some performing very well and others showing little or no response. This is particularly true in the case of protoplasts. Plant regeneration from somatic tissues makes it possible to maintain populations that fail to produce seeds and are difficult to propagate using standard methods. Embryo culture has been utilized to recover progeny from interspecific hybrids produced either by sexual crosses (e.g. B. napus X B. oleracea) or by protoplast fusion. Several vegetable lines with new combinations of nuclear and cytoplasmic genomes have been created by protoplast fusion. The usual procedure is to fuse protoplasts of regenerable B. oleracea lines with protoplasts from a cytoplasm donor irradiated to eliminate its nuclear DNA. Some plants recovered from such experiments are cybrids containing the nuclear genome of the B. oleracea partner and the mitochondria and/or chloroplasts of the other partner. The initial fusion product contains the mitochondria and chloroplasts of both fusion partners, in contrast to sexually derived zygotes which almost always contain only the chloroplasts of the maternal parent. Sorting out a mixed population of organelles during subsequent cell division and regeneration has made it possible to overcome the chlorosis seen when the Ogura type (Ogura, 1968) of cytoplasmic male sterile (CMS) Brassica lines are grown at low temperatures (Walters et al., 1992). This chlorosis results from interaction of radish chloroplasts with a Brassica nucleus, so fusion-mediated replacement of the radish chloroplasts with Brassica chloroplasts can produce CMS vegetable material suitable for hybrid production. Further fusions allow transfer of a cold-tolerant Ogura CMS from broccoli to cabbage in one step, eliminating the need for many generations of back-crossing (Sigareva and Earle, 1997a). Other types of male-sterile cytoplasms (e.g. Polima and Anand) have also been transferred to B. oleracea from other Brassica species by protoplast fusion. Cauliflower and broccoli cybrids with chloroplast-encoded resistance to atrazine herbicides have been created through fusions using B. rapa or B. napus as the source of the resistant chloroplasts. 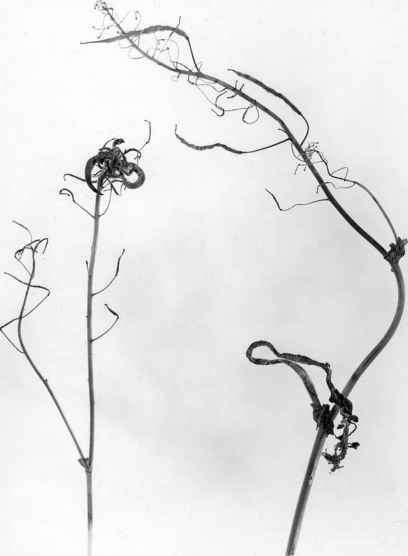 The broccoli cybrids combined two organelle phenotypes (atrazine resistance and the 'nigra' type of CMS) (Jourdan et al., 1989). Atrazine-resistant B. oleracea did not show the negative effects seen in atrazine-resistant rapeseed (B. napus). Attempts to alter the nuclear genome of B. oleracea via protoplast fusion have had limited success. B. oleracea can readily be fused with B. rapa to synthesize new forms of the amphidploid B. napus for example (Zhang et al., 2004). This approach increases the genetic diversity in rapeseed and may also provide a way to transfer useful traits from B. oleracea to the B. rapa vegetables (since sexual crosses of somatic hybrid B. napus with B. rapa are usually not difficult). Resynthesis of B. napus is not, however, an obvious route for the improvement of B. oleracea vegetables. Fusion of B. oleracea with other Brassica or crucifer species carrying useful resistance genes may produce resistant somatic hybrids. A dominant gene for resistance to Xanthomonas campestris pv. campestris (blackrot) has been transferred from B. carinata to broccoli by fusion, followed by back-crossing to broccoli via embryo rescue and conventional sexual crosses (see Chapter 7). Somatic hybrids combining B. oleracea with more distantly related brassicas often suffer, however, from poor fertility; this makes back-crossing more difficult. Production of transgenic plants is less advanced for Brassica vegetables than for rapeseed. Work on transformation of rapeseed is stimulated by its high economic value and the potential to expand the crop's usefulness through modification of its fatty acid content. Transgenic broccoli, cauliflower and cabbage have, however, been created, primarily through procedures involving the vectors Agrobacterium tumefaciens or A. rhizogenes. This approach has been used in conferring resistance to insects (from Bacillus thuringiensis), herbicides and viruses (see Chapter 7). Floral phenotypes have also been altered through transfer of genes preventing pollen development or modifying the self-incompatibility response.